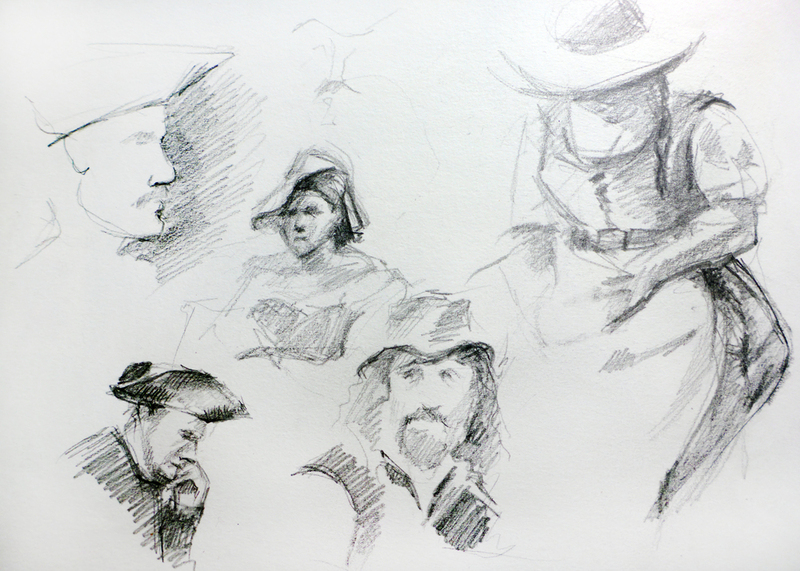 These are some more sketches from my recent visit to the Renaissance Fair in Tuxedo park. The guys in the first sketch are the fortune tellers in a Mystics Way alley just past the Archers and right before Hawker's Pub. I caught them towards the end of the day and it seemed that all the fortunes they have told and seen that day had worn them out. 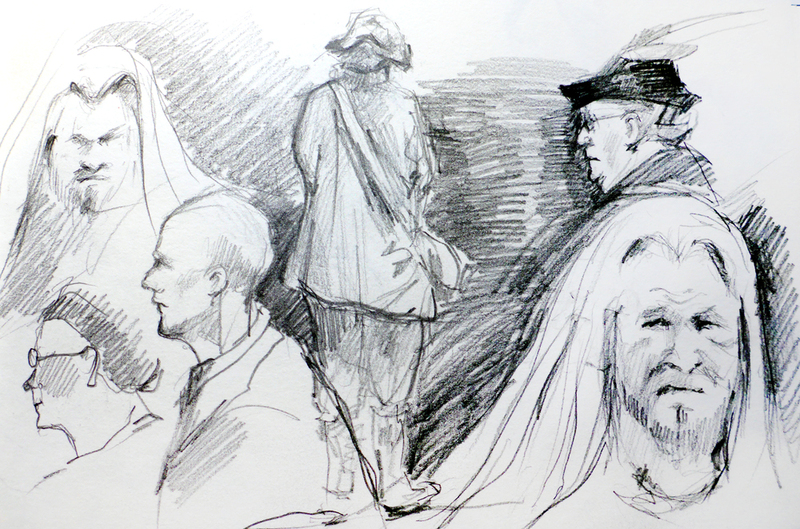 The second sketch is of a "Barbarian" who was giving a demo on wood cutting and of the observers who gathered to learn and even participate. I situated myself a bit too far to hear the stories that he told but it gave me a chance to observe without disturbing anyone. This place has a special place in my heart.... It used to be a bit of tradition with my significant other to go on the first and the last weekends of the Renaissance Fair. This tradition was long ago abandoned. This passed weekend was my first time back and first time going alone. And i have to say... i very much enjoyed it.
. And the greatest thing - you make friends! The monk i was sketching ended being a wonderful human being named Bob, whose entire family works at the fair every year and the fair became a place where they catch up. He shared his family's accomplishments, gave me a mini muffin and suggested to audition next year. 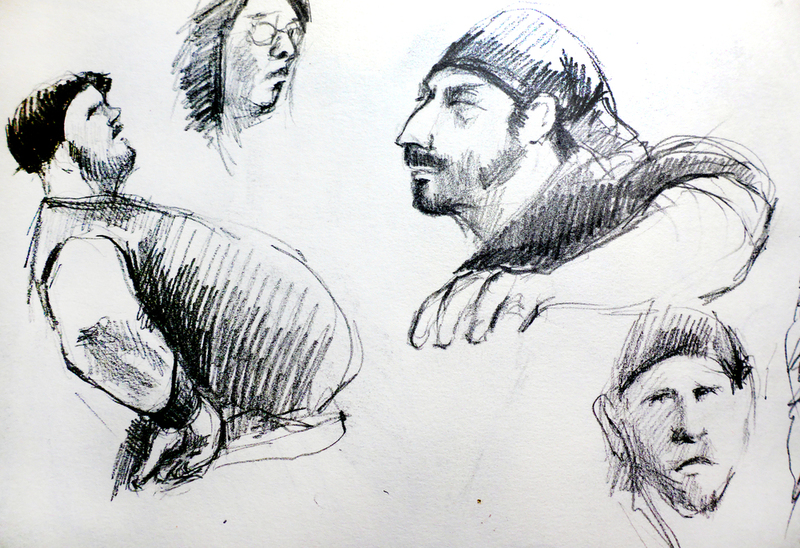 I had a "Barbarian" , later known as Jim, take a picture of me sketching other barbarians alike. I met a very energetic potter Jonathan who admitted to me that his passion and outlet other than pottery is sketching and doing it for a living. The 6 hours flew by quickly and i wished i didn't have to leave. There is still so much to sketch and so many characters to meet. I think i will be back here soon enough.